Classics Club 50 Book Challenge in 5 years — year 3 out of 5; 6 additional titles read this year for a grand total of 11 out of 50. Have to step up the pace! GoodReads 2017 Challenge — set at 100 books, with 108 read. Yippee! Although I continued to use my handwritten book journal citing the title, author, genre, and summary of the books I read, I did not track the place setting (state, country) like I did in 2016.
read 9 more classics this year (I really have to up the ante this year in order to reach the 50 book challenge by 2020. Right now I am listening to Dickens’ David Copperfield which is 27 CD’s long (! ), so it’s a good thing I find it humorous and am enjoying it. read more diversely and keep track of such things as setting, genre, author and characters’ nationality, ethnicity, gender, etc. Rachel Manwell from Bookriot created a comprehensive reading log that I may use to track this data. keep PopSugar’s 2018 Reading Challenge book prompts in mind just for fun! What are some of your reading goals for 2018? Categories: Bookish Confessions, Books | Tags: BookRiot, Classics Club, GoodReads, PopSugar, Reading Challenge | Permalink. Well, here it is, my annual stressor, the “holidays”. Between the reduction in light and the advance of the cold…not to mention the state of the country and its leaders, I’m feeling a little on edge right about now. How to take the stress down a notch and save a little of myself for my family? For me the answer has been the audiobook. I’ve turned off the news, stopped listening to the same songs over and over whether on the radio or my playlist. I’m using my commute, which can range from twenty minutes to 70 minutes depending on day and time and whether they’ve decided it’s a good night to do some construction, to go somewhere else through the auspices of a good book. Drive time is now a pleasure, if not a pleasure at least not as much of a drag. Most times I download a book to my phone through Axis 360 (an eBook provider through the Mass eCollection) and listen to it through the speakers in the car. I’ve tried science fiction, fantasy, true crime, historical fiction, and they all allow me to have that break and come home refreshed instead of tense. To be sure I have been tempted to drive around the block a time or two when the story has me really intrigued…but don’t tell my husband! Categories: Audiobooks, Bookish Confessions, e-books | Tags: Audiobook, Axis 360, download, eCollection | Permalink. Bookish Confessions: No awkward pauses between books! I noticed recently that my husband is nearing the end of a book he’s been enjoying. Watching closely as the unread pages quickly dwindled down, I anxiously asked him what book was next in line to read. He didn’t know. “BUT, but, you have to have a book ready and waiting for you,” I exclaimed! “What would you DO during that awful, dreadful, awkward pause between books?” Wanting to save him from that fearful state, I explained my simple but effective way of always having a book at hand. First, since I work at a library, books, book reviews, and book lists come across my hands often. I quickly add all those titles that catch my eye onto my “suspended holds” list on my library card account. With a constant count of over 80 items, I have a book on the list for every mood! So, that is my backup reading list. My reading schedule works like this: I have a book for quick 15-minute break times, usually a YA/teen read, or a book that is broken down into short chapters. For lunch, I have another book that I can read at a more leisurely pace. On the way home from work, I listen to an audio book. The audio book alternates between being a classic and a more contemporary, soothing pick. When I am home, I want to leave work behind, so of course I need a new fresh book that stays at home and can be read while curled up on the couch with a dog on my lap. That brings us to bedtime… No dark, pessimistic book can enter this peaceful domain, so I go for children’s middle grade books that may have serious themes, but always with a ray of hope for the future. That’s it–no problems, no awkward pauses between books! Categories: Bookish Confessions | Tags: book selection, reading habits, reading preferences, reading schedule | Permalink. I don’t know if it’s the summer scorchers when the grass is dry and crunchy and all the vegetation looks desiccated — or the heavy humidity which leads to languidness, violent thunderstorms, and sudden heavy downpours — but it all drives me to read futuristic dystopian books featuring cataclysmic climate changes. The heat waves that break all existing records, and the super storms in unlikely places, make these books with their dysfunctional world settings seem quite palpable. As I sat down to read Gold, Fame, Citrus by Claire Vaye Watkins, this summer’s post-apocalyptic book about a destroyed and drought-ridden South California, I reflected on other books with similar themes I’ve read over the last few summers. Last year I read Emily St. John Mandel’s beautifully constructed Station Eleven, involving a flu pandemic and a unique theater troupe. This book had gotten rave reviews from both the public and the review journals, even winning some awards along the way, but I was never interested in it…until the following summer, filled with crazy weather, when anything seemed possible! Other post-apocalyptic summer reads have included California by Edan Lepucki, World Made by Hand by James Howard Kunstler, The Water Knife, Ship Breaker, Windup Girl, all by Paolo Bacigalupi. Happy summer reading (even about disasters)! Categories: Bookish Confessions, Books, Dystopian | Tags: bookish, confessions, Dystopian Fiction, post-apocalypse, post-apocalyptic, reading habit | Permalink. Reading is such a personal thing; and reading tastes even more so. There are some readers who devour cozy mysteries one right after another. There are others that are all about the comics and nothing but the comics. So imagine if either of these readers find that their reading tastes are changing, they will notice pretty quickly. And I wonder, is it a conscious or an unconscious shift at that point? My reading tastes are all over the place. I’ll read almost anything. In fact, when I used to receive books to review from publishers, I would tell them that I’d read anything except spiritual based fiction or nonfiction, political nonfiction and steamy erotica. Well, lately I haven’t been doing much of that kind of reviewing, but I’ve noticed that I don’t even necessarily push those books away anymore. Granted, I’m pretty picky about them, but I have reopened that door again. In my case, I can say that it is a conscious decision on my part to make this change. Given the current political state of American affairs, I am very interesting in learning more about the topics I feel deeply about. This has meant that I’m reading more on feminism than say memoirs of political figures, and things like that. I’m curious about reading about the true nature of Islam, so I may pick up a book on that and I have realized that I should read some spiritually based fiction so that I may better recommend books to patrons who enjoy that genre. So, yes, in this regard it is a conscious shift for me. But I’ve also noticed an unconscious shift as well. Five years ago, I joined this online community of classic literature readers called The Classics Club. I had made a list of 100 classic titles that I wanted to read, with the hope I’d cross 50 of them off within five years. Well, that deadline passed in early March and I found that I had read 42 of those books. I call it a win, but I started looking over the list of books I didn’t read. And you know what I discovered? I have zero interest in some of those books now. Dickens? No thanks. I’m rewriting a new list of books, and I’m not carrying over half of what left on the original list. My tastes changed when I wasn’t looking. Have you noticed your reading tastes changing over time? I think it is perfectly natural, obviously, but I find it curious in a philosophical way. Though it is possible I’m thinking too much on it. 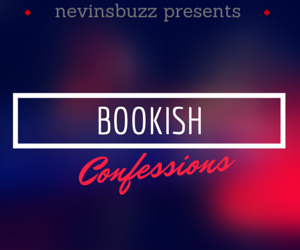 Categories: Bookish Confessions | Tags: reading tastes | Permalink.